It’s not too late to call Camp Nazareth and reserve a spot and it’s not too late to register to camp as a college student for this weekend-long retreat, held this weekend (May 20-22). The cost of the weekend retreat is now only $100! Don’t miss out! Camp Nazareth in Mercer, Pennsylvania is hosting an Orthodox Christian Fellowship (OCF) endorsed Spring College Student Retreat from Friday, May 20 to Sunday, May 22, 2011. There will be guest speakers, group workshops, evening social events, food, fun and plenty of opportunity for faith enrichment. The keynote addresses are being given by Rev. Jonathan Cholcher, Acting Rector of St. John the Baptist OCA Church in Warren, Ohio. 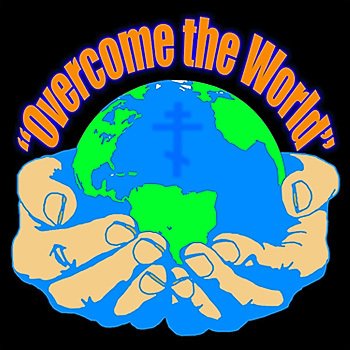 In addition to the keynotes, a variety of priests and college students will be presenting and leading discussions on how we “overcome the world” in the areas of relationships, school, politics, the workplace, and in marriage and family. You do not want to miss out on this retreat. It promises to be a very rewarding event. Come to the retreat, meet other Orthodox college students, form lasting friendships, have some fun, and deepen your faith. To download the Registration forms visit: www.campnazareth.org or www.acrod.org/news/releases/spring-college-conference.